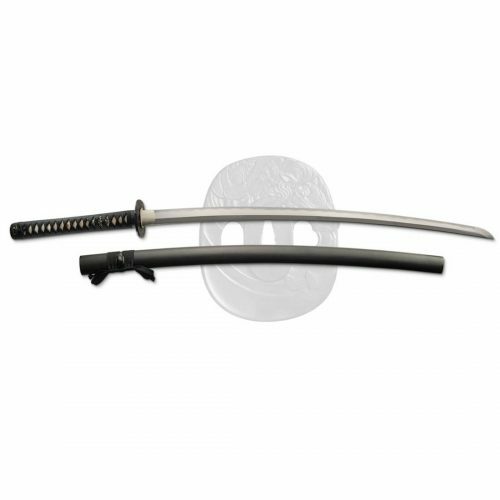 The Katana was the weapon of the Samurai warrior and is also an important part of Japanese culture and history. 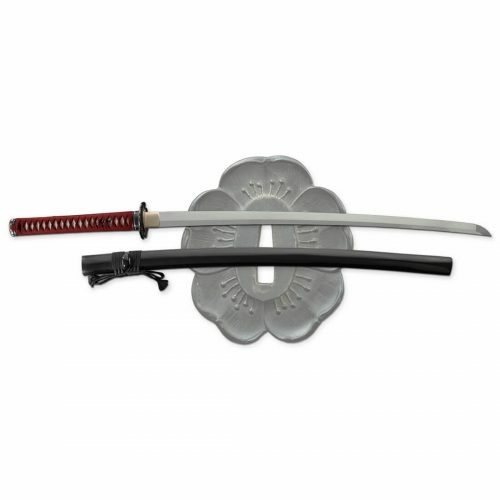 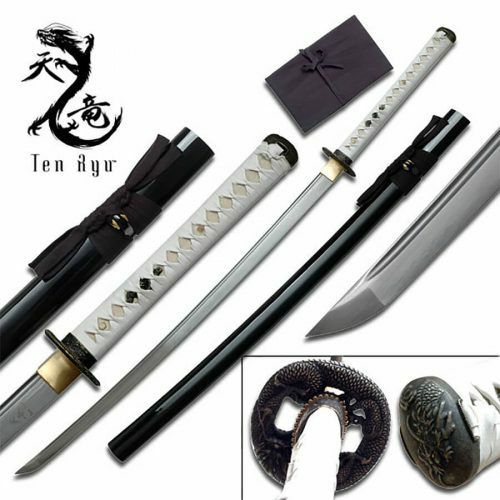 Here you’ll find a wide selection of hand made katanas for sword collectors and practitioners. 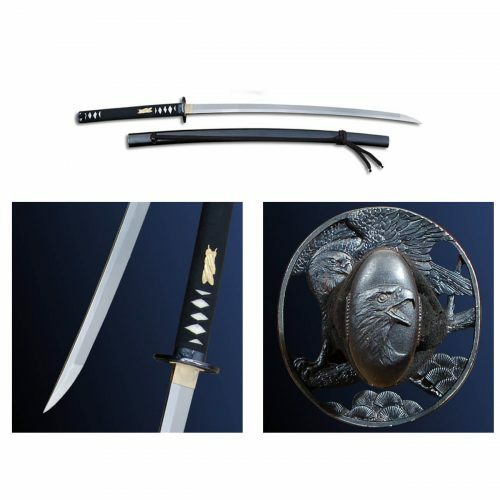 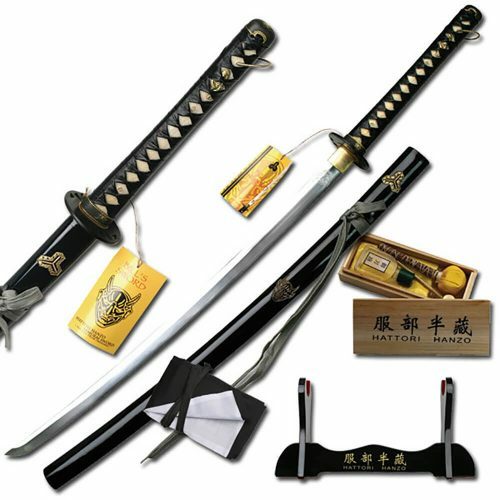 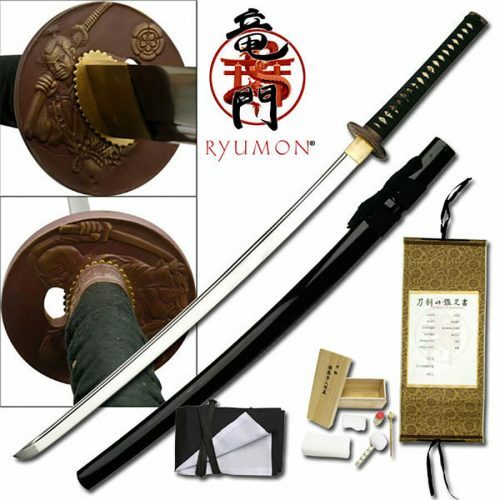 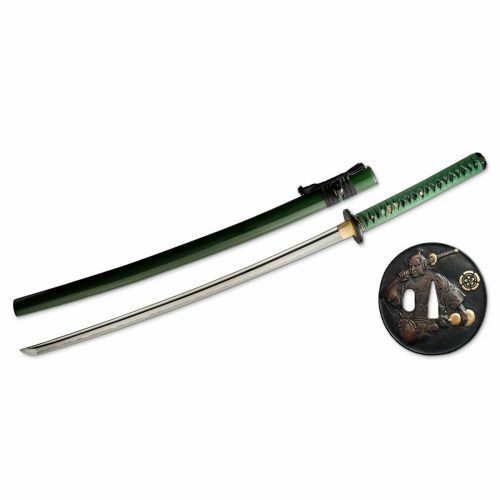 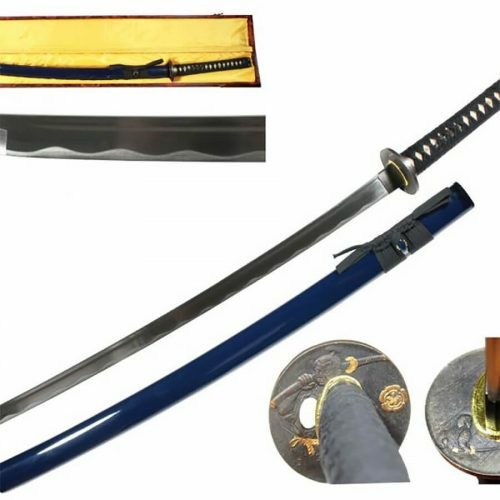 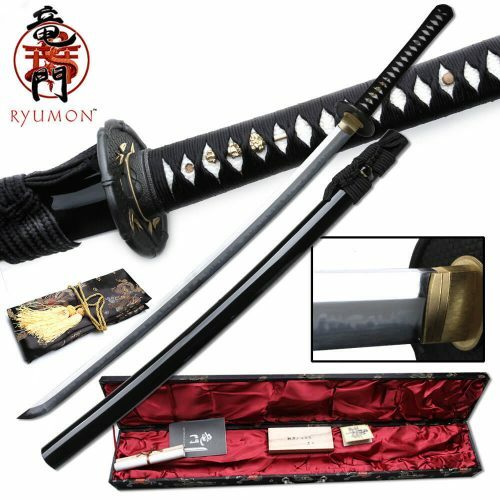 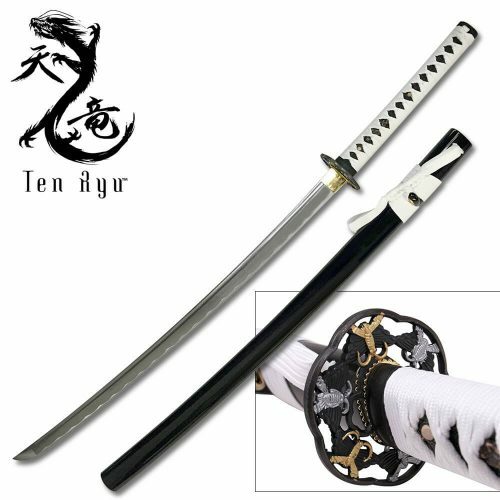 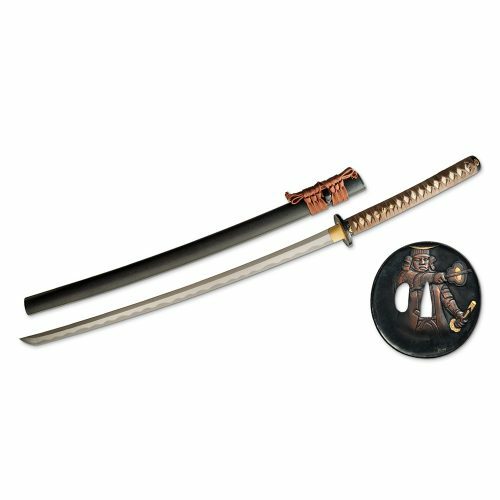 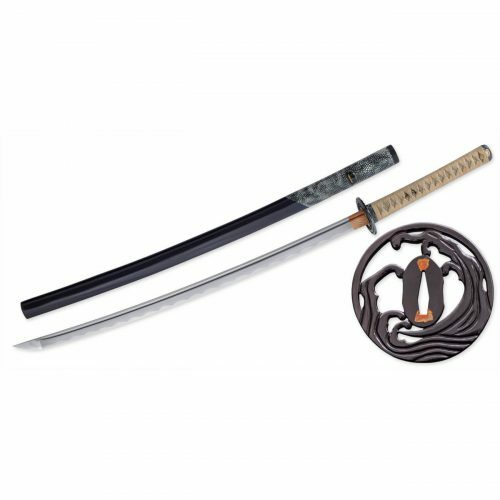 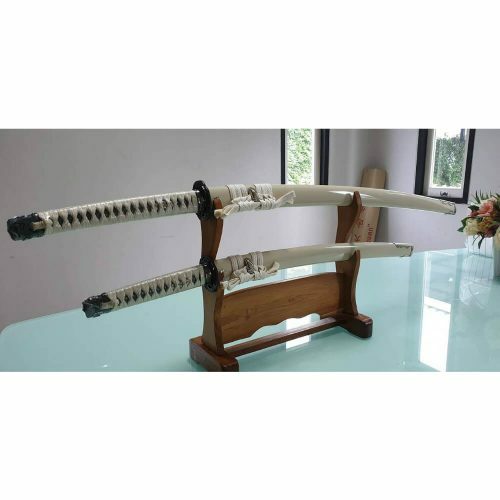 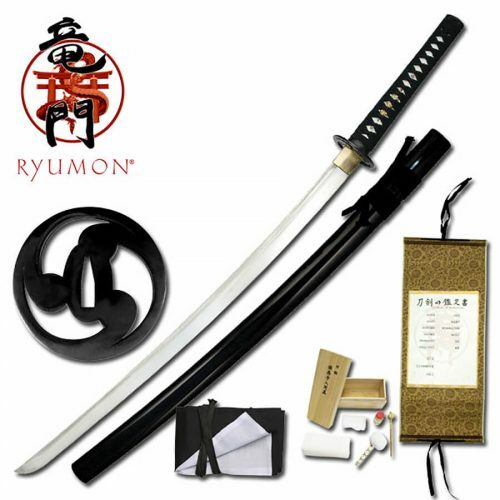 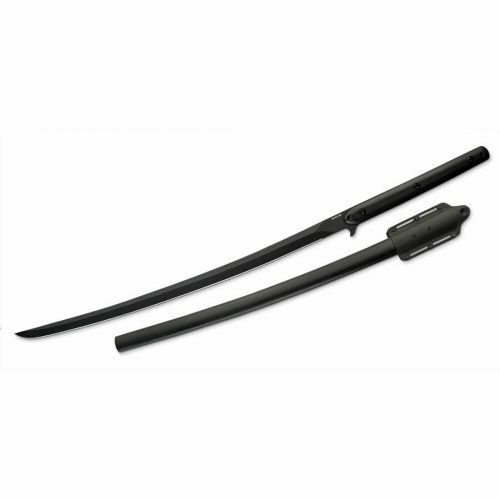 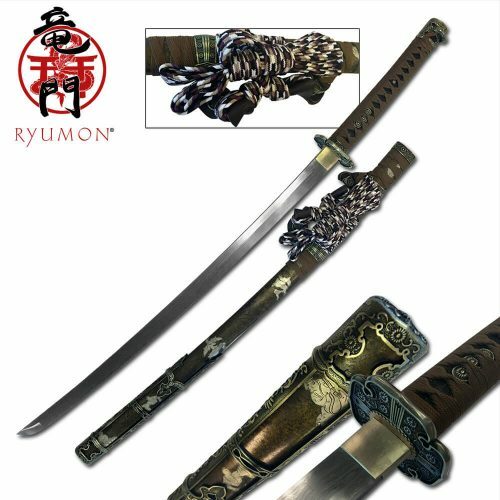 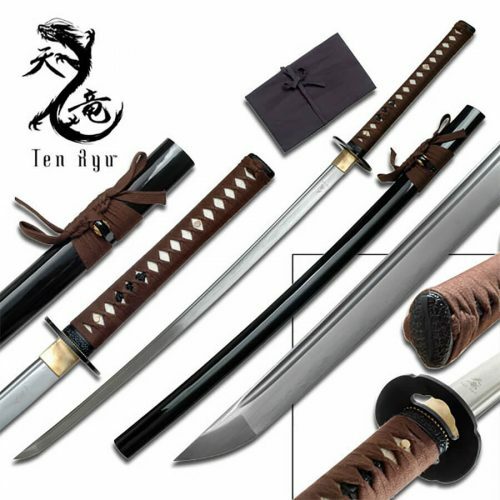 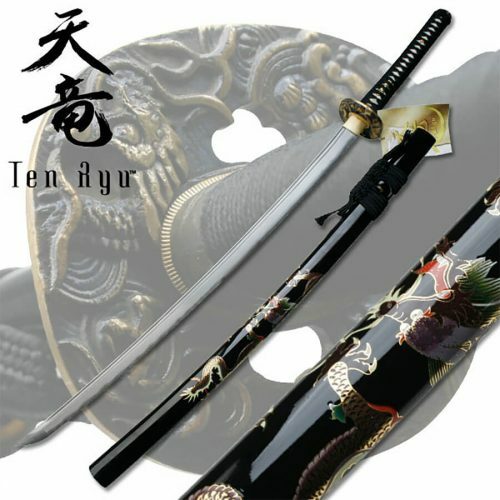 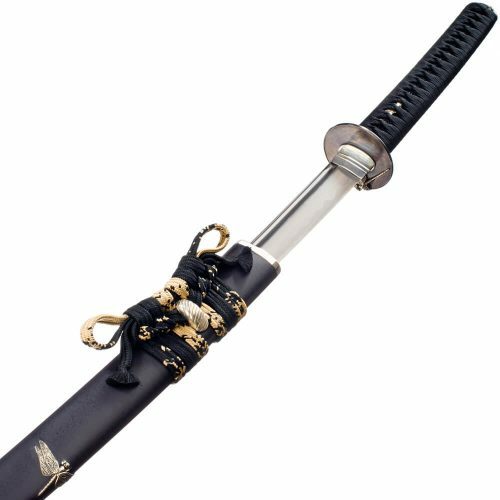 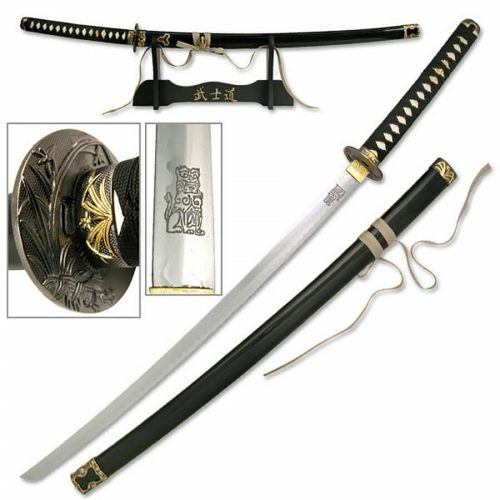 Read each sword’s description to find the right Japanese sword for you. 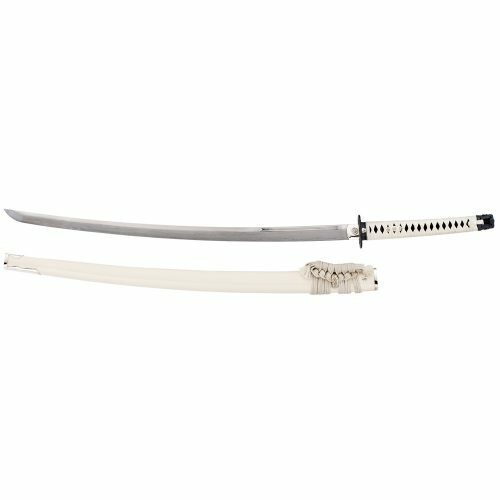 Historically, katanas were one of the traditionally made swords that were used by the samurai of ancient and feudal Japan. 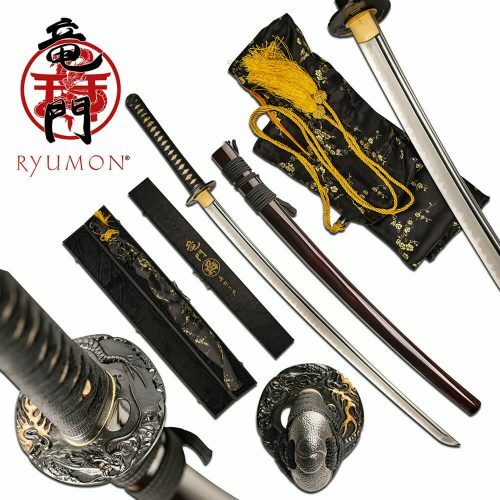 These swords are characterized by its distinctive appearance: a curved, single-edged blade with a circular or squared guard and long grip to accommodate two hands. 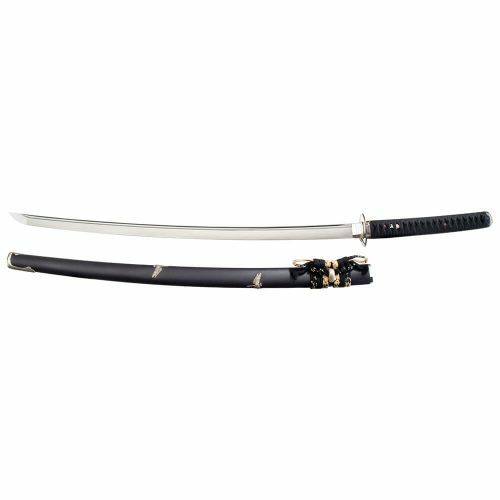 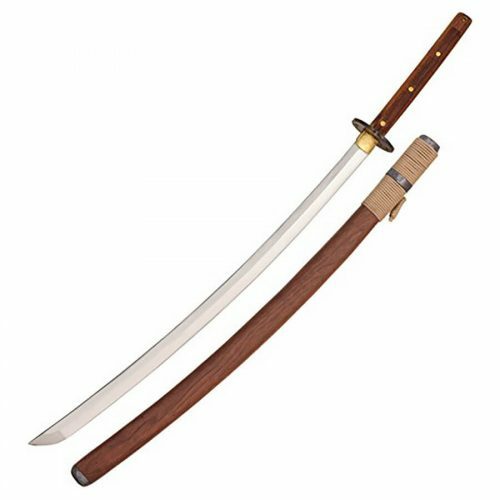 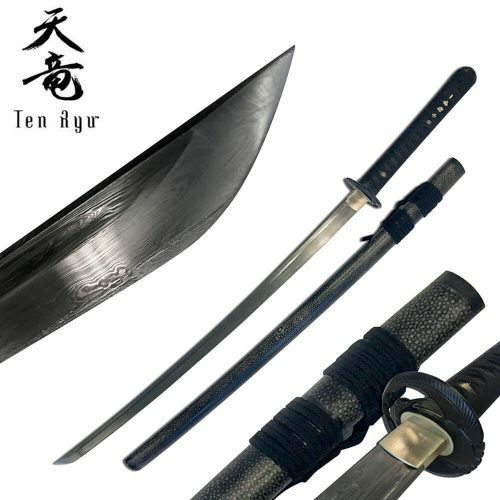 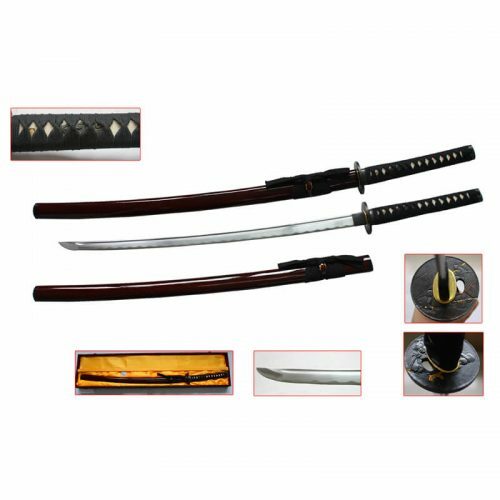 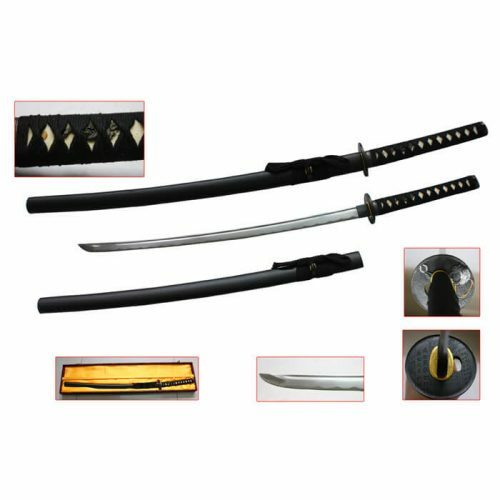 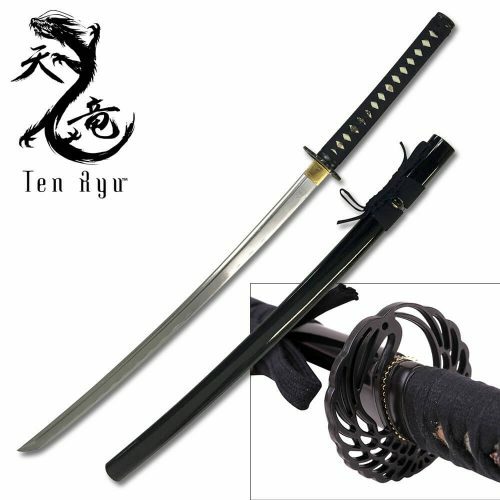 This type of sword is generally defined as the standard sized, moderately curved Japanese sword with a blade length greater than 60 cm. 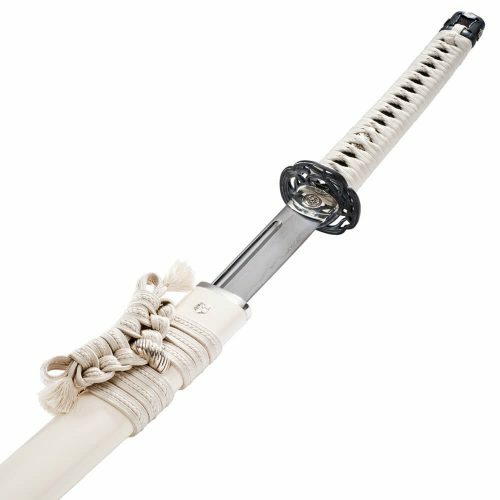 With a few exceptions, katana and tachi can be distinguished from each other by the location of the signature on the tang. 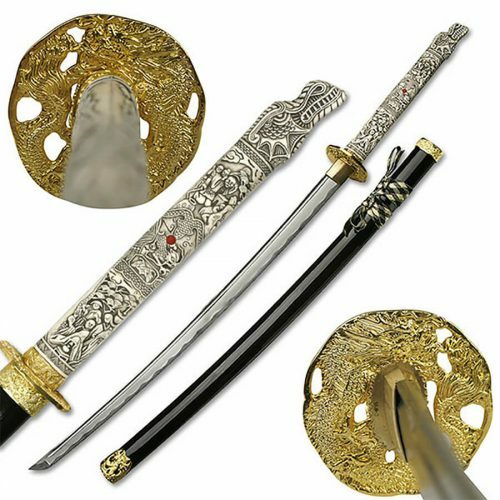 In general, the mei should be carved into the side of the nakago which would face outward when the sword was worn. 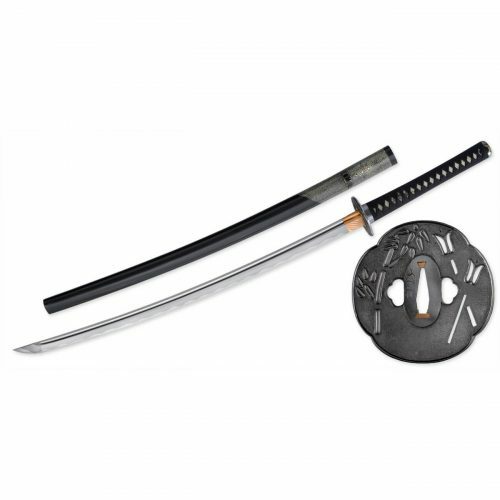 Since a tachi was worn with the cutting edge down, and the katana was worn with the cutting edge up, the mei would be in opposite locations on the tang. 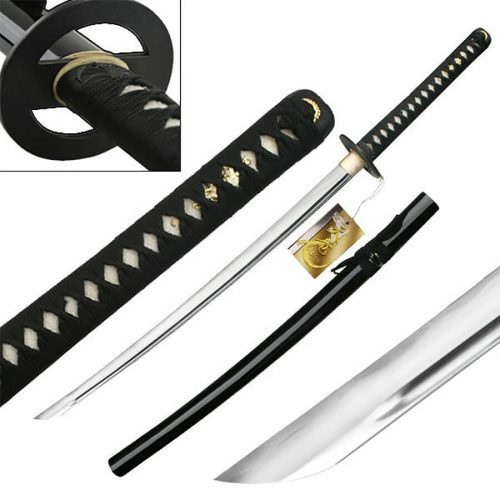 Western historians have said that katanas were among the finest cutting weapons in world military history!